Peter Emmett, Sydney: metropolis, suburb, harbour , 'Metropolis of geology, geometry and light', pp 13-70, Glebe, 2000, 44 (colour illus.). Hendrik Kolenberg, Look , ‘Celebrating Lloyd Rees: a book and show on the Gallery’s collection of his work’, pg. 21-23, Sydney, Mar 2013, 21 (colour illus.). Art and Australia (Vol. 29, No. 4) , Sydney, Winter 1992, back page (colour illus.). 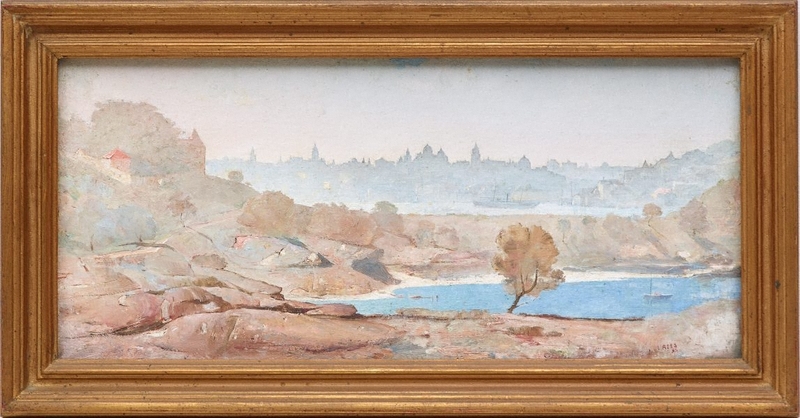 titled 'Sydney Skyline'; Artarmon Gallery advertisement.